In Iceland, Riley meets an older sensate outside of their cluster who works for the enemy but is saving all the sensates she can before they are hunted down. Will dreams about Whispers before Jonas and Riley visit him, separately. When the other sensate with her finds out about Jonas, she warns her that HE is the enemy. Wolfgang gets a veiled threat from his uncle. Kala is interrogated by the police regarding her future father-in-law’s attempted murder, and Rajan reassures her that it’s not her fault. Sun’s father drops by to see her in jail for the first time and confesses his guilt to her, telling her that he will reveal the truth. 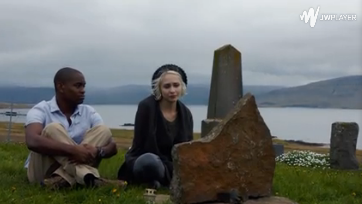 Capheus visits Riley at her husband’s grave in Reykjavik. He shares the story about how he and his mother had to give up his baby sister at an orphanage because they had no choice. Nomi visits Lito and they talk about their respective heartaches at the Diego Rivera museum, where he and Hernando first met. 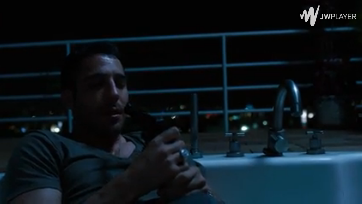 He later attempts to take his own life, while Neets finds Nomi back at their apartment. Nice episode! It was a good showcase of emotions. Great acting from the cast! Mexico City finally connects with someone in the cluster. It rarely happens and I think the last one was with Chicago. But I so loved the interaction. This seems to be his first heart-to-heart talk with one of the other seven. I think it’s one of the best interactions in the series so far because it’s just so packed with emotions and replete with truth, especially when San Francisco tells him that there’s a difference between what we work for and what we live for. It makes you appreciate the emotional support they can offer one another in times of need, beyond the skills that they require most of the time. Anyway, that piano version of Mad World playing in the background was so hypnotic, as well as the acoustic version of Knocking on Heaven’s Door. They helped a lot in setting the prevalent melancholic mood of the episode. The Wachowski Sisters are killing it with the soundtrack! I wonder if an official OST can be purchased somewhere.